Strategic Incentives believes strongly in the power of incentive programs to help companies achieve goals, motivate employees and reward outstanding behaviors. Our team of experts creates and facilitates effective incentive programs for clients by focusing on end results. Unclear Goals: A workforce program must be very clear in its goals in order to be effective. How can management judge whether a program works if they don’t know what it is supposed to do? Vague goals are not helpful for anyone involved. Be very specific about what the program is supposed to accomplish and then track those results. Set concrete goals such as increase sales by “x” percent, reduce costs by “x” dollars, or reduce time lost to safety issues by “x” hours. No Action Path to Success: Even when a company establishes an incentive program with clear goals, it can be unclear to the employees as to how to achieve those goals. Do you want them to cut prices to the bone to increase sales results, or to reduce quality in an effort to save money? Those would both be undesirable outcomes. To be effective, the sponsoring company needs to discern positive actions that will support the goal, and then provide the necessary education on how to perform those tasks. Undesirable Incentives: Some incentive programs fail because they just don’t offer anything that is of interest to the employees. Complicated programs, or programs that require intense effort for something they could buy easily without all the work, can actually be un-motivational. If employees are expected to work harder, sell more, or reduce costs without a proper level of reward, the program is doomed from the start. Implement an employee motivation plan with desirable incentives, and they will be willing to work together to achieve the end results. 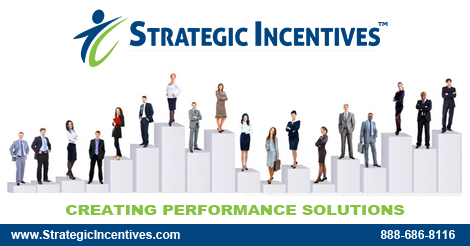 Strategic Incentives carefully researches and custom-designs rewards programs to achieve specific business objectives. We develop solutions molded to the client organization, increasing effectiveness and ease of implementation, with a focus on maximizing return on investment. Call 888-686-8116 for more information on creating an in-depth incentive plan which avoids many of these common mistakes. Incentive programs, when done right, can truly have a positive and lasting impact on the implemented performance improvement plan. It’s good to know that there are fixes we can try, however, it is still best to make employee motivation programs foolproof before implementation than risk going through any of these.